A healthy microbiome is essential for managing hormonal conditions. Specifically, there’s a group of bacteria in the gut known as the estrobolome that metabolizes and eliminates estrogen from the body. It’s critical that the estrobolome is in good health if you want to heal your hormones. It would be lovely if the balance of good and bad bugs in the gut took care of themselves if they just stayed healthy and in balance on their own. But a lot of unavoidable everyday things can throw a wrench in our internal microbial universe, from taking a necessary course of antibiotics to exposure to certain chemicals or eating a diet high in the white stuff (sugar, flour, dairy). So we have to tend the health of our microbiome (in order to care for our hormones) and this is where probiotics come in. The probiotics in supplements and in certain foods, like sauerkraut and kimchi, help keep the microbiome humming along. But there’s another key factor that supports a healthy microbiome: getting enough of the right micronutrients. Today I’m going to explain the why the microbiome is so important for hormone balance and how you can support a healthy microbiome by getting the right nutrients (in addition to taking a high-quality probiotic). Your microbiome is the main player in regulating your hormones, especially your estrogen levels. Estrogen-dominance as a result of a poorly functioning microbiome can contribute to all the different symptoms of hormone imbalance, including infertility, PMS, low libido, cramps and heavy bleeding, and PCOS. Plus, it can make you far more susceptible to estrogen-led cancers like breast cancer. Approximately 5 lbs of bacteria live inside of you and the quality of their ecosystem— how diverse and well-balanced the bugs in your gut are – governs your health in many ways. Poor microbiome health has been linked to depression, anxiety, cancer, poor blood sugar balance and diabetes, and many other chronic conditions. Most significantly, when it comes to hormones, an under-functioning bacterial ecosystem caused by bad diet, exposure to chemicals, chronic stress, and micronutrient deficiency, will suppress the good bacteria, promote the bad bacteria, and lead to a toxic build up of hormones as well as other signs of systemic inflammation. Research shows us that addressing the microbiome holistically is the only way to get your immune system, digestive system and endocrine system working smoothly. That means making sure you’re getting enough pre- and probiotics in your food (and via supplements), as well as maximizing your micronutrient intake. How do I know if I my microbiome needs help? That’s right: dysbiosis can lead to stalled weight loss. Gut flora is linked to your appetite, digestion, and how easily you feel full. Studies have shown that individuals with obesity have a less diverse microbiome than those who are slimmer, and as people who are obese slim down, their gut flora changes. You need healthy gut flora to break down fats and sugars and get them in transit out of your body, just like you need your gut flora to eliminate excess hormones. Vitamin B12 plays an important role in shaping gut microbial communities. Magnesium deficiency changes the amount of bifidobacteria in the gut. Vitamin D deficiency changes the microbiome in ways that can trigger inflammation. Zinc deficiency is associated with a less diverse microbiome and less bacterial activity. Selenium sufficiency is associated with increases in bifidobacterium in the gut. Malnutrition in children is associated with less healthy microbiome. These important micronutrients, which are essential for gut health and overall health, are part of my Balance Supplements. And even if you eat a healthy diet rich in these nutrients, you might not have optimal levels of the vitamins and minerals you need to promote gut health. Environmental factors beyond our control, from the mineral-depleted soil in which most of our food is now grown to shifts in growing practices that have reduced the number of vitamins and minerals in various foods, can leave us eating a perfect diet and still deficient in certain micronutrients. I include a probiotic in my Balance Supplements, too, because gut health is SO vital to your overall health. And I designed the Balance Supplements in the first place because the supplement industry has very little oversight and I saw so many women waste money on supplements that at best didn’t work and at worse contained dangerous ingredients. 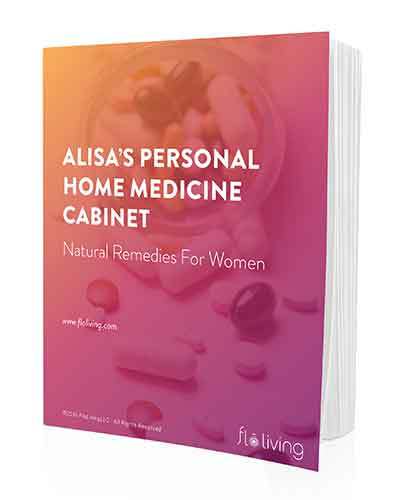 The supplement kit contains five formulas, rigorously tested, thoroughly researched, and perfectly suited to meet your gut and hormone health. After years of research, I’ve determined that these are the five essential micronutrients that women need in order to balance hormones, reverse symptoms, and look and feel their best. 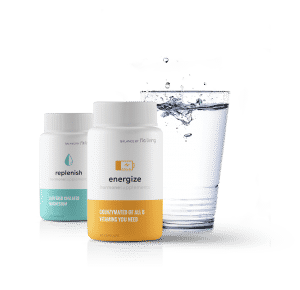 If you’re ready to feel energized, detoxed, replenished, harmonized, and gutsy, I encourage you to take your micronutrient needs seriously with food and supplements. You deserve to look and feel your best and make sure you’ve optimized your micronutrients is a key part of that equation. Hi there! My 16 yo daughter has been diagnosed with PCOS . She is on many supplements and thyroid meds (15mg armour thyroid and T3) as prescribed by a functional medical doctor we see. She also just started taking Nutrafol, which is a supplement that addresses the issue she’s having with androgenic alopecia. I would like to know if she could replace what she’s taking now with the supplements that you offer. We would like to start following the Flo Protocol because she has not progressed as we would like her to. What would be the best way to figure out what supplements/meds to stop taking and replace with your program? Thanks so much for any guidance you can give us!